Save Marinwood-Lucas Valley - our community, our future: Simple inexpensive steel buiilding can be improved with plantings/ color choice. Simple inexpensive steel buiilding can be improved with plantings/ color choice. 24x40 shop features all-vertical steel roof and siding, 10 ft leg height, three 8x8 roll up doors, 1 walk in door and 3 windows. $11840 in most areas. $12,930 FL certified. 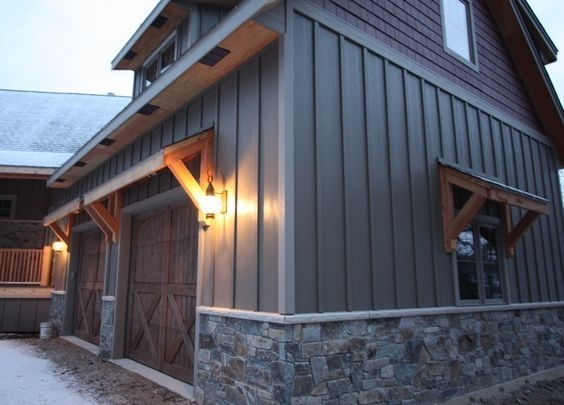 A steel building improved with stone veneer and custom details. Many wineries use this technique to dress up their buildings. This photo demonstrates the capacity of these small sheds. Our maintenance department has the same vehicles plus two "golf cart" utility vehicles and a mower. 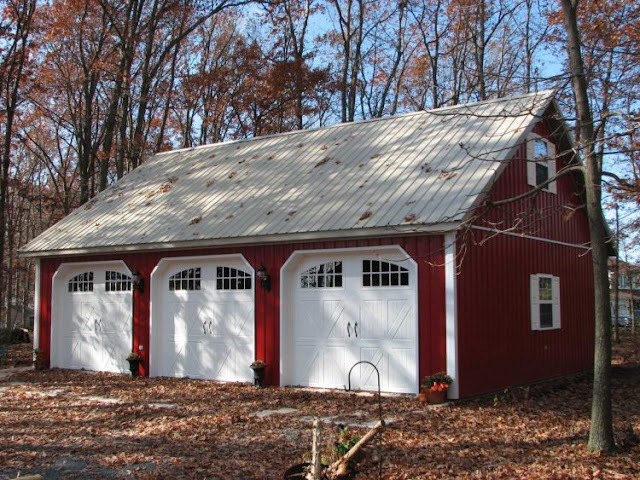 We estimate this shed is 24' x 30' . 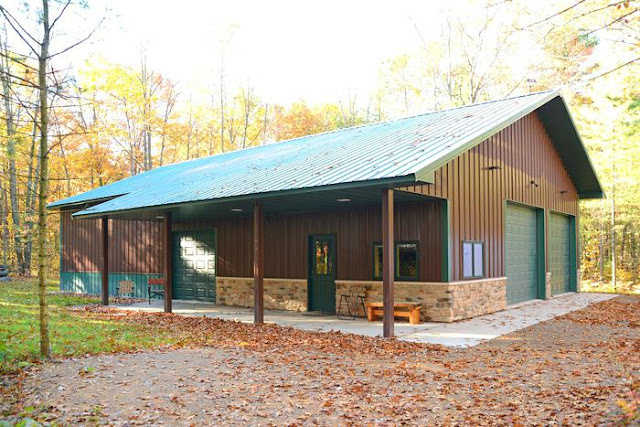 We advocate a shed that is roughly twice this size. 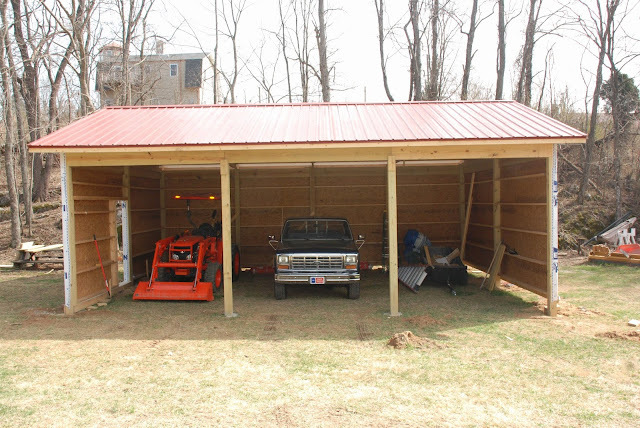 This will allow a generous area for vehicles, tool storage and materials with easy access and no wasted space. When vehicles are removed, a large work area is provided.